Even though jute, the golden fiber of Bangladesh, has lost its glory but Kumudini is working hard to promote and bring back the heydays for jute and jute-related businesses. For Kumudini it remains a major revenue-earning source. Till now the lion s portion of the total revenue of the Trust is being generated by this sector. 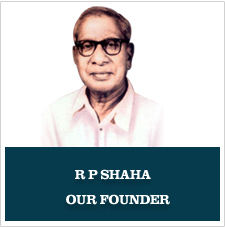 In 1945, R P Shaha acquired the entire jute business of the Scottish firm George Henderson & Company at Narayanganj which was previously owned by an English firm named David & Company. After a brief period of depression, jute and jute products are slowly gaining momentum solely because the world is moving towards eco-friendly technologies and products. Kumudini has all the facilities and experiences in the jute trade with their warehouse and baling press putting them in an ideal position to take advantage of jute s increasing importance in the world market. Kumudini exports jute to USA where it is used as an eco-friendly material in the fabrication of dashboards for car.